Is this the future, Lovecraft? Future Lovecraft, the new Innsmouth Free Press anthology is out now. Well, it's been officially in the wild for a few weeks now so if you got a shiny eBook reader for Solstice, Christmas, Hanuka or whatever you celebrate go and buy it, also available in paperback format if you're more "traditional" (besides IFP print books are beautiful). So there's no excuse to keep your claws and/or tentacles away from this nice piece of lovecraftian reading. "Tloque Nahuaque", my short story on the real nature of the Higgs boson and other weird math objects, is part of the TOC and you can read it here as a sample of the book. There wont be flying cars in the future cities. Who needs them when you can have byakhees? The 2053 edition of Miss Universe was, at last, won by a non earthling: Miss Yuggoth shone that night in her fungal beauty. "Racist! ", she yelled and walked away notoriously angry. She'd been called clean human and no-gills, but scaleless was rude. The customs officer told the Mi-Go its passport wasn't valid anymore. The planet of origin was now Pluto, not Yuggoth. XXXII century kids blow 4-dimension soap bubbles. Sometimes a universe is created by the colision[sic)] of 2 iridiscent spheres. The fortune teller said something about love-craft in my future. But an etsy enthusiasts fair? Really? No cultists? Yes, Virginia, there is an Azathoth. Somehow I think the only one with potencial was the Miss Universe one. I'll work on some variations and post them here and on Twitter soon. 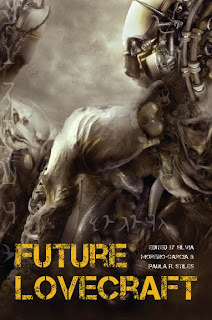 Silvia Moreno-Garcia, our dear IFP publisher, wrote some lines on Lovecraft and racism where she mentions a couple of my short stories (including "Tloque Nahuaque"). 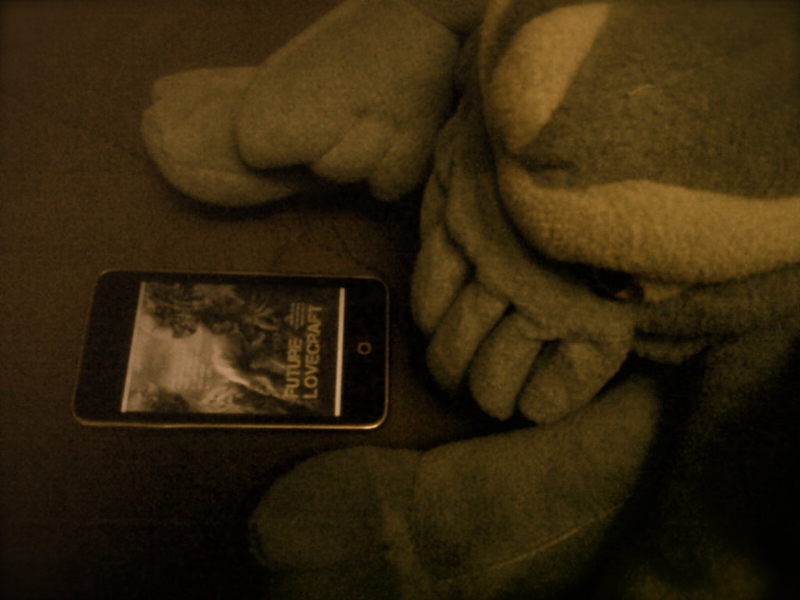 Found out that Future Lovecraft has already been pirated. But why getting a book from a site full of adds and possibly malware if you can get it for free from the publishers? You just have to ask and pay with a review or a tweet. That's so simple and sounds like a great deal to me. The other day I posted something about it on g+ since 40k Books decided to launch a "pirate" edition of Dario Tonani's Cardanica. Read it here (yes, it includes a link to a free and amazing eBook). Enjoy. So that was the "Lovecraft", but what about the future? 2012 will be a good year. I'm plotting and working on short fiction to send at least a couple of submissions per month (hopefully) and my short story/mutant collection El Escaque y otros trebejos (in Spanish) will be out as an iPad app. It looks beautiful. Thanks for reading and have a wonderful New Year's Eve. Feliz año nuevo. Abrazos tentaculares ^^.